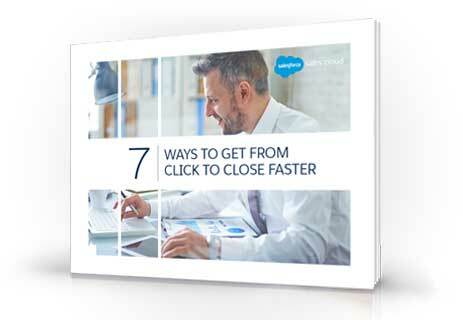 7 Ways to Get From Click to Close Faster. All the sales talent in the world can only get you so far. To grow and optimize your sales pipeline, you need to have the right tools. Sound too good to be true? Download the full e-book to see how Salesforce can change your sales game forever.